Provide comfort for the family of Mrs. Maria Graca with a meaningful gesture of sympathy. It is with deep sadness that the family of Maria Guiomar Graca announce her passing. Maria died peacefully surrounded by her loving family on Saturday, April 6, 2019. Maria was born in Moncarapacho Olhao, Portugal on July 16, 1928. She immigrated to Canada and raised 8 children with her husband John. Family was most important to Maria. She was very generous and worked hard to ensure her children had a good life. She enjoyed collecting pictures and loved reminiscing about past memories with all who visited. Maria touched many lives, and she will be deeply missed by all. Maria was a devoted member of St. Anthony's Church for 58 years and very involved in the Portuguese Community. Maria was devastated with the loss of her daughter, Celisia in March 2018. This past year has been a struggle for Maria. It is important to recognize and appreciate all efforts by family and friends who gave so freely of their time. The visits, the phone calls, and most importantly, the foods prepared to comfort Maria during a difficult time of mourning and adjustment. There simply are no words that could adequately convey the deep appreciation. Maria was so well loved, by so many. Maria is survived by her children Cidalia (Adriano) Alves, Albert (Ruth) Graca, Irene (German) Cuartas, Tony (Samantha) Graca, Sullivan (Catharine) Graca, and Mario (Michelle) Graca; special grandchildren Nancy, Liz and Rosie as well as numerous other grandchildren, great-grandchildren and great-great grandchildren, who were all so dear to Maria. She is also survived by her brother Henry (Irene) Guerreiro; good friend Maria Costa and several nieces, nephews and cousins. She was predeceased by her beloved husband John, son Dennis; daughter Celisia Darosa and son-in-law Henry Darosa; brother Jack and sister Erminda as well as numerous in-laws and other relatives. 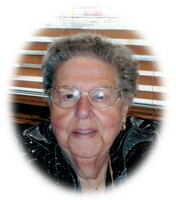 Funeral services for the late Mrs. Maria Graca will be held on Thursday, April 11, 2019 leaving the EVEREST FUNERAL CHAPEL, 299 Waverley St. at Algoma at 9:50 AM to St. Anthony's Roman Catholic Church for the Funeral Mass at 10:30 AM celebrated by Father Luigi Filippini. Interment will follow in St. Andrew's Catholic Cemetery. Visitation for family friends will be on Wednesday evening after 6:00pm the Everest Chapel with the Vigil Prayers offered at 7:00 PM. In keeping with Maria's wishes, the family would welcome donations made in honour of Celisia to the Northern Cancer Fund. To plant a memorial tree in honor of Mrs. Maria Guiomar Graca (Guerreiro), please visit our Heartfelt Sympathies Store. Vigil Prayers will be offered at 7:00pm. Donations are being accepted for: THUNDER BAY REGIONAL HEALTH SCIENCES FOUNDATION. We encourage you to share your most beloved memories of Mrs. Maria here, so that the family and other loved ones can always see it. You can upload cherished photographs, or share your favorite stories, and can even comment on those shared by others.